We focus on over 200 hours of brain training per year, which is vital for correcting a child’s cognitive skills. Hundred hours of reading, spelling and comprehension activities are provided, over and above tutoring academic subjects. We strive to develop each learner’s self-image and self-esteem, helping them become independent learners. 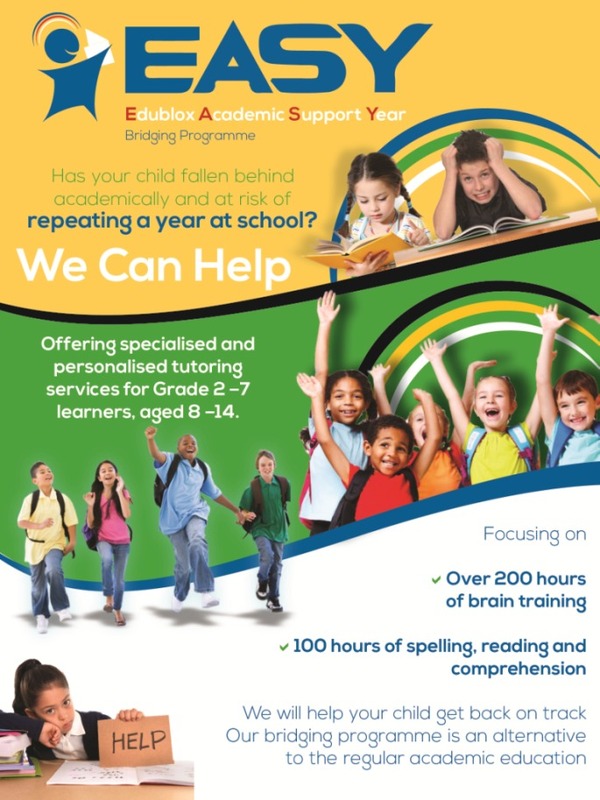 Our bridging programme focuses on developing your child’s cognitive skills and correcting their academic difficulties.